The sun is very drying, so ideally the sunblock used should also serve as a good moisturizer. The choice we have when choosing a sunscreen is between "chemical" sunscreens, which contain ingredients which may be absorbed and could disrupt the body's hormone systems, and "mineral" sunscreens, which contain zinc oxide and/or titanium dioxide. The EWG (Environmental Working Group) and the FDA are in disagreement as to the safety in humans with the use of retinyl palmitate (Vitamin A) and oxybenzone in commercial sunscreens. 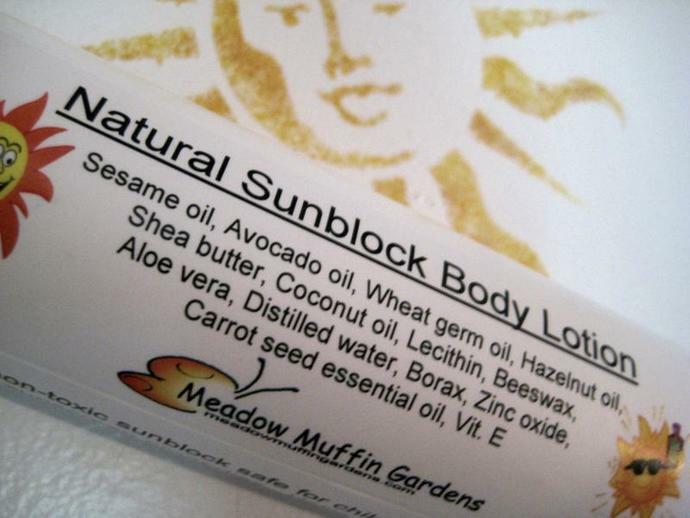 If you are tired of not knowing who to believe, perhaps you would like to try a body lotion containing ingredients with their own natural sun blocking properties. This body lotion is not tested by the FDA and is not being promoted as a sunscreen. It is a moisturizing body lotion with the additional benefits of its ingredients having their own, though low, SPF factor in blocking the sun's harmful rays. 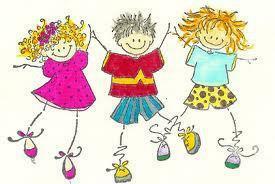 Wonderful for children, and men and women of all ages. Zinc oxide is safe; the micronized particles of this mineral form a physical blocker in sunblocks and deflects the suns rays like a mirror. Often paired with titanium dioxide, which reflects light, titanium dioxide is not included in this lotion because it has the potential to be irritating to the skin. What you want in a sunblock is broad spectrum protection, which means protection against both UVA (sun's ultraviolet long-wave) and UVB (sun's ultraviolet short-wave) rays. UVA is what causes aging and wrinkles ( blocked by zinc oxide) and UVB (blocked by zinc oxide and titanium dioxide) is what causes burning. UVA rays penetrate the skin more deeply which is why our skin tans but also contributes to aging skin and the risk of cancer. UVB rays damage the skins epidermal layers resulting in sunburn and a risk in skin cancer. According to an article from Wake Up World by Marie Be: "UVA rays damage skin cells called keratinocytes in the basal layer of the epidermis, where most skin cancers occur. They penetrate deeper into skin tissue where they release free radicals, damaging DNA and skin cells, promoting skin aging and causing skin cancer. UVB rays stimulate the production of new melanin and a thicker epidermis, which are your body’s natural defense against UVA damage. 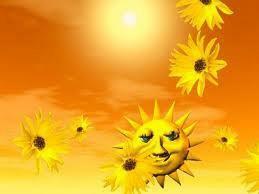 They also cause sunburns, which are the body’s natural warning and protection system against UVA damage." It is better to have a lower SPF (sun protection factor) and have a UVA blocking ingredient than have a high SPF but only be blocking UVB. Zinc oxide blocks both UVA and UVB rays. SPF refers only to the risk of burning (UVB) and should be at the minimum 15. The amount of zinc oxide used in this sun lotion is 12% which is sufficient but since it is not tested by the FDA I cannot make any claims as to the actual SPF. This sunblock lotion consists of skin loving nourishing oils which in themselves contain a low SPF factor. Sesame oil is a stable oil and helps increase the shelf life of the lotion. Long used in skin care, it soothes, softens and helps reduce skin aging. 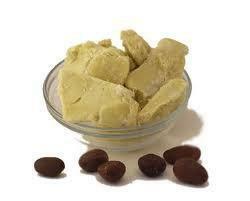 Shea butter is another heavy butter that once it penetrates is very therapeutic for dry damaged skin. 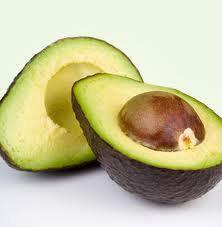 High in fatty acids needed to retain moisture and elasticity, a favorite for serious skin care. Aloe vera is used in many formulas for reparative skin preparations, soothing astringents and sun products. Its gel is extremely cooling and refreshing. The hair on our heads protects the skin from exposure to the elements. People with thinning hair or no hair should be caring for their vulnerable scalps, ear tips and even foreheads, by moisturizing and protecting vulnerable areas from the sun. This lotion is rich in skin nourishing oils that will greatly help with dry skin issues as well. This sunblock comes in a 4 oz. plastic flip top bottle. When not in use store in the refrigerator to extend the shelf life. Since sunscreen bottles are often within a beach bag, car or pool gear, they are exposed to heat and sun, which may accelerate spoilage. If you want a larger than 4 oz. size it would be best to purchase multiple bottles and use one at a time. 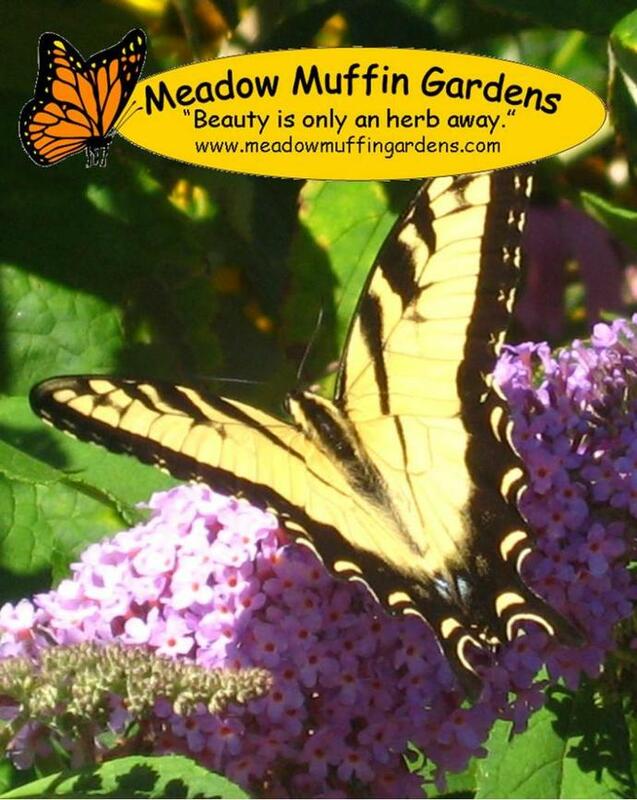 Convo me and we'll make a special listing. Reapply hourly and after getting wet.